With today’s increasingly complex supply chain, brands face an even greater challenge to ensure only the best and safest version of their products reach consumers. Food products see many handlers between creation and distribution before even reaching the consumer, which naturally incites more opportunity for quality and safety issues to occur, potentially leading to recalls and other major health concerns. The U.S. Food and Drug Administration and the U.S. Department of Agriculture’s Food Safety and Inspection Service, recorded a total of 456 food recalls in the U.S. in 2017. Other challenges lie in assuring proper documentation of each step of the supply chain. Without these measures, information can get lost and severely compromise a brand’s image. The current supply chain system does not always allow consumers and other stakeholders to distinguish the true value or origin of food products adequately. Without assigning dedicated, traceable values to these products, it can be difficult for third parties to verify at what point in the supply chain the issue may have arisen. However, awareness of a potential solution—blockchain technology—is rapidly surfacing. In fact, nearly six out of 10 large corporations are considering using blockchain. Originally born as an accounting method for the virtual currency Bitcoin, blockchains are cropping up in various commercial applications today as a way to verify the authenticity of products or goods. Blockchain is a digitized, continuously growing list of records or blocks, which are securely linked using cryptography. After completing a block, the technology produces a new block while permanently securing the old in linear, sequential order—similar to links in a chain. Each block contains cryptographic information from the preceding block, a timestamp and transaction data. By design, the technology is immutable or inherently resistant to data modification or deletion, as every block links to the one before and after it. Blockchain technology has the potential to change the way we purchase, sell and make transactions for goods and services. By combining ease of use and the security of cryptography, blockchain can be used for any exchange, agreements or contracts as well as making and tracking payments. It allows the supply chain community to verify and monitor the entire process. Blockchain has the potential to serve as a highly beneficial tool for the food industry. 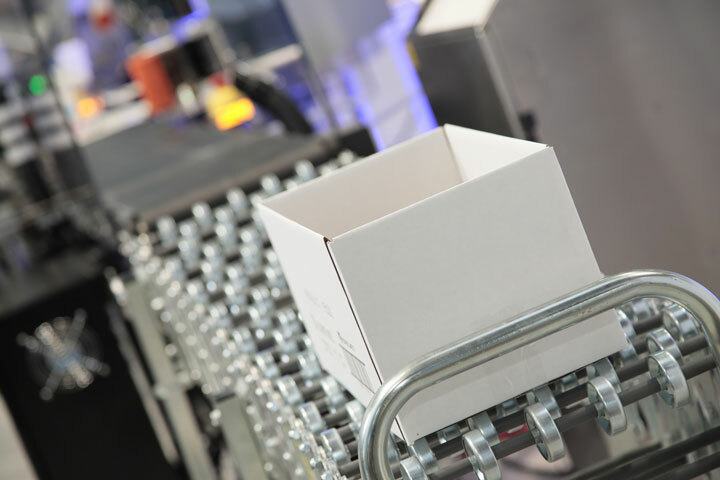 Food products change hands numerous times across a supply chain—from ingredients manufacturers to processing facilities to packaging operations—sometimes contract packagers—to shipping and distribution, then retail. Even then, a growing e-commerce market adds an additional layer when products are shipped from the retailer to the consumer. With blockchain, each transaction can be recorded and later viewed in a permanent decentralized repository, reducing potential delays, added costs and human error. For example, should an issue arise with a food product, users with system access can pinpoint where the problem originated and react accordingly, saving precious time that could otherwise see major harm to consumers’ health and a brand’s image. Once the manufacturer identifies the source of the problem, the food company can adjust their recall, selecting only the items that were afflicted and posed a risk. This step ultimately saves costs of scrapping an entire run or order of a product that was not compromised by the error. Additionally, faster reaction times are possible because supply chain information is readily available in the decentralized system. Rather than spending weeks attempting to identify where an issue arose, stakeholders can receive the necessary information within one to several days and respond accordingly, minimizing damage. Although a key benefit of blockchain is its immediate depiction of data and information, another critical benefit is its added security. The technology enables companies doing business with each other to record transactions indelibly. Blockchain’s strength lies in its trustworthiness as it is impossible to reverse or change what has been recorded. In addition, the technology can also hold many more documents and data than traditional database storage, allowing for more detailed insights and analysis. With blockchain, brands can not only rest assured that their data is safe but can also build trust with their customers. The technology is designed to provide even greater visibility into the complex steps of the supply chain, which enhances brands’ ability to meet consumer demand for more information about their products or to meet government regulations. Authenticating a product’s journey across the supply chain reveals its exact origin and history, which can help to substantiate product claims and ultimately helps build trust. To learn more about how food brands can boost safety, quality and transparency through the use of blockchain in order to help drive consumer interest and loyalty, food manufacturers should attend PACK EXPO International 2018 (October 14-17, 2018; McCormick Place, Chicago). Co-located with Healthcare Packaging EXPO, PACK EXPO International will offer a wide range of packaging materials, containers and equipment. The show will bring together more than 2,500 exhibitors and 50,000 attendees. In addition, show features like The Containers and Materials Pavilion and The Reusable Packaging Pavilion will display cutting-edge innovations in flexible, resealable and sustainable packaging. Jorge Izquierdo is vice president of Market Development for PMMI, The Association for Packaging and Processing Technologies. He oversees PMMI’s market development plans, research and programs for strengthening the competitiveness of North American suppliers of processing and packaging equipment.